Depression is commonly associated with women, but make no mistake, men can become equally down and depressed, too. They may not talk about it as much as women do, nor seek help, but it definitely happens. Today we’re going to share two very common causes of depression in men that can be resolved naturally. Depression can make a man feel sad, tired, irritable and empty inside. He may feel hopeless, and lose interest in work, family and activities he used to like. He may not feel like himself anymore. While there are many causes of depression, such as nutritional deficiencies, stress, and loss of a loved one, today we are going to focus on two that are related to hormones: hypothyroidism and low testosterone. If you’re feeling down and blue, unmotivated and like you’re losing interest in the things you used to love, please have your testosterone levels and thyroid function evaluated. Don’t suffer any longer. You will be surprised at how much better you feel when you optimize these two hormones. 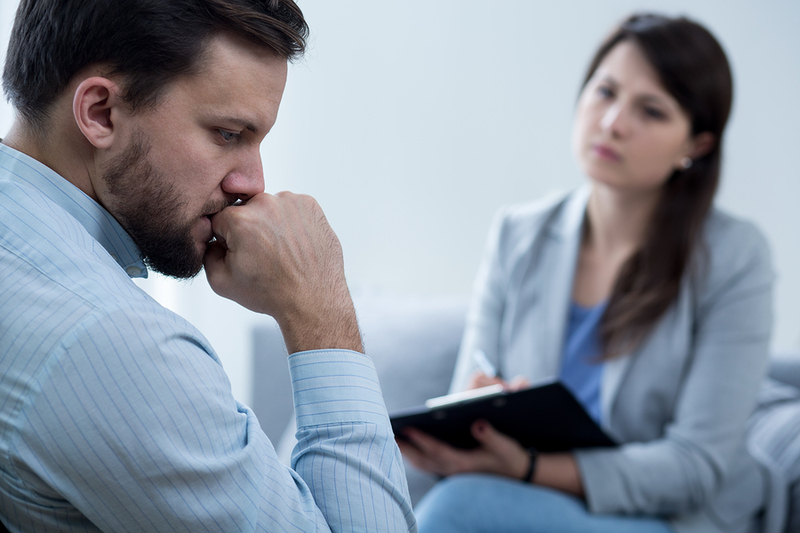 Depression in men with a testosterone or thyroid hormone deficiency is often alleviated after they begin bioidentical hormone replacement therapy. Take our symptom checker quiz to find out if you have symptoms of hypothyroidism and low testosterone. There is ONLY one cause of depression.. compromising ones self to others instead of being obedient to the Lord.